Electricity is one of the most indispensable things in life. Although we are fortunate enough to not be affected by electricity shut-downs on a frequent basis, but there are times when the Mother Nature strikes in a horrible way. Just when the Mother Nature strikes, and we are hit by severe hurricanes, heavy rainfalls, sandstorms, and floods, we often face power shut-downs. For those unfortunate ticks on the clock, owning a portable generator has become a necessity. Markets are full of various models of portable inverter generators from different portable generator companies, and it is absolutely backbreaking to sort out the best one according to your requirements. In such a case, we have joined heads to find you the best one. 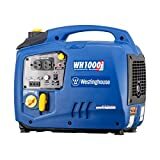 Following is a list of best 3 portable generators to buy in 2018. Go through it and add the best one to your cart. WEN 56200i is an overall best choice for just $450. It comes with a very soft and quite operating level of 51 decibels. It comes with 2,000 surge watts and 1,600 running watts for operating your gadgets and appliances. With dual three-divided 120V input, single 5V USB port, and single 12V DC input, it stands out to be the best choice for $450. WEN holds enough room to charge the portable electronics and appliances for the whole family. Additionally, the WEN comes with both low-fuel and low-oil automatic shut-off option. It only consumes single-gallon tank to run straight for six hours. Lastly, it bears a prolong life and weighs only 48 pounds. Yamaha EF2000iS is the next best portable generator to buy in 2018. It is famous for being the quietest on the list. However, it costs slightly high up to $750. It comes with 51.5 decibels. The Yamaha EF20000iS is capable of giving you 1600 to 2000 watts output on maximum. It only requires a single 1.1-gallon tank to operate for straight 10.5 hours on 25% load. Moreover, it only weighs 44 pounds that makes it super easy to be moved anywhere at your location. Last but not the least, it also features over-voltage protection and an automatic low-oil shut-down feature. Not only this but unlike other, the Yamaha comes with an economical switch that helps in providing you power for a more extended period. A slightly over-weighed compared to the above two, WEN 56180 is 50 pounds. If you are the one running low on budget, then WEN 56180 can be your best bet in dark hours. 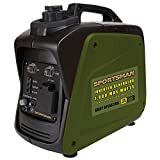 It is one of the best portable generators with a small budget of $171 only. It comes with 63-decibels. It comes with 1,500 running watts and 1,800 surge watts. It operates with a 1.45-gallon tank for approximately 7.5 hours consuming 50% load. It holds three 120V outlets and one lighter-styled 12V outlet. Lastly, it doesn’t come with wheels that makes it slightly harder to move, but a small budget is enough to justify this minor drawback. Sort through our best picks and analyze yours depending upon your requirement. 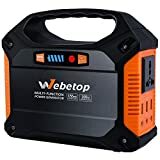 For more information, you may read unbiased portable generator reviews on Amazon or else in the comments on our website.